Join us for food and drinks at Grove Yerba Buena. 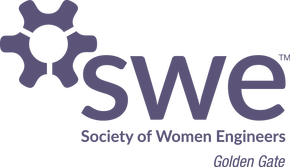 Come share your experiences from WE15 or just catch up with other SWE members. Whether you made it out to the conference or not, this will be a fun event for new and existing members alike. Siddika Demir will speak about her experiences with mentorship and how they have impacted her career. We will also have a discussion on mentorship programs and how to establish a good mentor/mentee relationship. The UC Berkeley SWE section has invited us to attend their meeting on 12/7 from 6:30 to 8:30 PM. The meeting will be held at Wozniak Lodge on the UC Berkeley campus and will consist of dinner, a book exchange, and a donation drive to a local charity. Please email Amy at afong@berkeley.edu if you plan to attend. SWE-GGS is partnering with Ignite (Inspiring Girls Now in Technology Evolution) to co-host an engineering panel at Burton High School in San Francisco. This will be a great opportunity to share your experiences in engineering and encourage girls to consider Burton's Academy of Engineering, which is currently only 10% female. Please email lesleyluginbill@gmail.com if you are interested in volunteering. SWE Regions A, B, and J are excited to announce a joint region conference in the beautiful northwest area of downtown Seattle! Register now to EXPLORE what the world of engineering has to offer, ENGAGE women of all ages and backgrounds, and EMPOWER each other to take on new challenges and seek out our passions. The Region ABJ 2016 Conference will begin on Thursday and Friday with tours and activities designed for participants to get to know the Seattle area and participate in the local culture. On Saturday, conference participants will explore a wide range of presentation tracks from technical development to career exploration to inclusion and cultural awareness and much more. Corporate sponsors and partners will be on-site for networking opportunities and a career hiring event suited for all experience levels and career backgrounds. To close out the conference on Sunday after SWE region business meetings, Regions A, B, and J will host an outreach event to engage and encourage Seattle youth to explore what it means to be an engineer. engineering degrees. Bring a friend, spouse, or co‐worker to join in the bidding fun! Feel free to bring a cool or wacky t-shirt (new or slightly used) to be auctioned off that night. The last day to RSVP is February 23! The Region A Collegiate Team is planning a wine tasting outing in Livermore. Professionals are encouraged to attend to mentor and network with collegiate members. The theme for this year's SWE Region A Leadership Summit is Planning for Change. Learn more about tactical planning, creative problem solving, event planning, advertising, and managing effective meetings at this all day summit for the region. Other activities include a panel focusing on unexpected career changes and non-traditional career paths and a chance to network and receive mentoring from LCC coaches. SWE San Francisco State University is hosting its first Evening with Industry! Join the Golden Gate Section and Yelp's Awesome Women in Engineering group as we host a selection of talks by women engineers at Yelp. This event is part of Yelp's quarterly WE Speak talk series. This series highlights some of Yelp's technical challenges and includes topics on career and career growth. At this event three talented speakers will share their knowledge about a variety of topics as detailed on the registration website! Dinner and drinks are generously provided by Yelp. Join us as we recognize the academic achievements of local graduating high school seniors going on to pursue degrees in engineering and related majors. This year's SWE-GGS scholars are from San Anselmo, Sonoma, Petaluma, San Francisco, South San Francisco, Albany, Oakland, and San Leandro and intend to study includes Mechanical Engineering, Chemical Engineering, Civil Engineering, Bioengineering, and Computer Science. Our keynote speaker for the evening is Lisa Ballantyne, VP & GM at Turner Construction Company. She oversees business operations and management of Turner’s Bay Area operations. She holds a degree in Civil Engineering and MBA. ThrillBuliders is an exciting day for Girl Scouts to experience the laws of physics in motion at an amusement park. There will be two large workshops about catapults and coaster cars. Both workshops need volunteers who can help explain concepts (instructions will be provided) and make the activity fun and engaging. This is an all day commitment from 9am-2:30pm, but you will receive lunch and a pass to explore Great America once the event is over. Sign-up to volunteer here. Please email Lesley Luginbill (lesleyluginbill@gmail.com) and Brenda Gabel (BGabel@girlscoutsnorcal.org) with any questions. Please arrive by 12:45pm. No RSVP needed, just show up!